It is not necessary to have a full property relocation project on your hands in order to make use of our expertise in the moving industry. 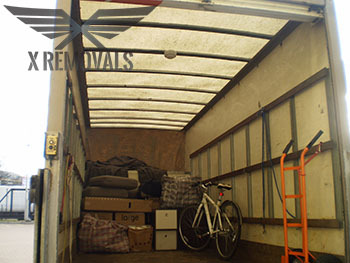 At X Removals we can provide you with comprehensive assistance with all sorts of small removals in London. We will get acquainted with the specifics of the relocation job that you have for us and properly prepare for its execution so that your needs and personal requirements are met in the most adequate manner possible. We are the packers and removal team in London that you can trust to complete your small removal in a swift and efficient manner, and we will not even charge you too much for it. We have put much effort into tailoring a special removal quote calculator that provides individual quotes to our clients considered in accordance to the individual specs of the job. Additional services like packing and Goods in Transit insurance can be added on the quote, but even with those no unnecessary strain is going to be put on your budget. One of the things that really make us stand out among the rest of the moving companies that operate on the territory of London is that we operate on an entirely flexible schedule. We mean that you tell us when exactly it will be best for you to get the job done, and we will do whatever is necessary to ensure that is going to happen. Book your small removal in London with us and leave the rest in the experienced hands of our certified movers. We understand that there are instances when emergencies arise. Since we at X Removals want to be at your disposal no matter what happens, we have made sure that last-minute booking is not a problem for us. Additionally, we operate during weekends and bank holidays alike. Please do not hesitate to get in touch with our friendly customer support in case you want more information or want to make a reservation. We are very happy to be operating in London. The city is truly our nation’s heart, being administrative, commercial and cultural centre. In addition to housing some of the best known tourist attractions in the world, including museums – The British Museum, Natural History Museum, The National Maritime Museum in Greenwich and many more, London is home to some of the finest institutions for higher education in the country, like University College London, The Royal College of Arts, King’s College London School of Medicine and so on and so forth. And don’t even let us get started on the entertainment and art venues! In addition to being a prominent tourist destination, London is also a global financial capital. The annual turnover being produced by transactions made only in the City amounts for more than any other place on the map. Canary Wharf, the location of the former West India Docks is another thriving commercial centre in the capital, which was mostly developed following private investments in the past couple of decades.